The Winter Festival gave me a reason to grind towards a specific goal for once: the icy weapon skin for great weapon fighters (called Sparkling Long Sword of Winter). I tend to not care about cosmetics that much unless I'm trying to get rid of a particular look that I don't like, and this was the case here as well - I hated that axe. It's not that it's hideous by itself, but I just couldn't stand fighting - flourishing, stabbing - with a great-axe all the time. It looked silly. 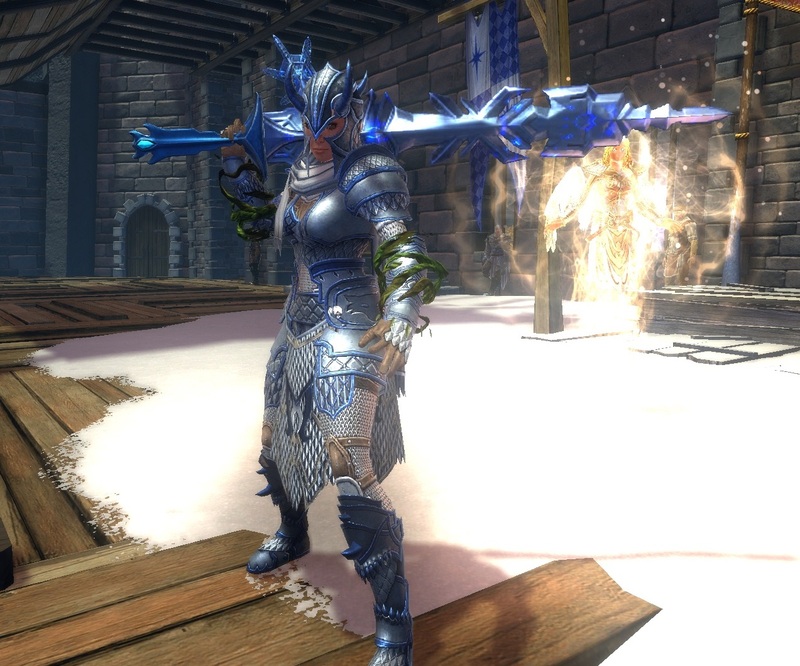 So this was a great opportunity to get something more stabby and yet still sparkly. Plus, you know... scarves. Finally I can show my "cape" without it getting in the way all the time.